Hey, buster! Normal life is a total yawn. 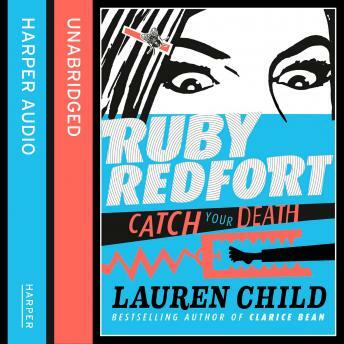 So break out of boredom with Ruby Redfort: detective, secret agent, thirteen-year-old kid. The third book in the ice-cool Ruby Redfort series, latest creation of multi-million-copy bestselling author Lauren Child. Everyone's favourite kid detective is back for a third mind-blowing instalment, packed with all the off-the-wall humour, action and friendship of the first two books.